Ethiopia and Eritrea officially declared an end to a two-decades-old war on Monday, a day after their leaders held a historic summit in the Eritrean capital Asmara. The two neighbors also agreed to resume flights, open embassies and develop ports together. “State of war that existed between the two countries has come to an end. 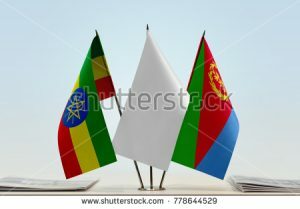 A new era of peace and friendship has been ushered (in),” Eritrean Information Minister Yemane Gebremeskel said on Twitter. Most of the people in both of these nations live in poverty. The Continuing Church of God has a deacon as well as members in Ethiopia. Less resources spent on war as well as trade between the two nations will at least help some reduce their extreme poverty. While Ethiopia and Eritrea, like the rest of the world, need the Kingdom of God, having more peace is normally a good thing. While there are issues with political leaders, Jesus taught, “blessed are the peacemakers” (Matthew 5:9). Peace should help at least some in this part of Africa. This entry was posted on Monday, July 9th, 2018 at 5:00 pm	and is filed under Prophecy. Is PCG right on Yemen and Iran?